I received a cartridge of this nice ink with my Parker Urban. Enjoy! Hi! I stumbled onto your account after looking at Lamy Al-star matte black reviews (which is wonderfully in-depth and impartial), but by far my favourite feature is your weekly ink reviews. As a left handed fountain pen aficionado I was most pleased with your drying time and further observations. 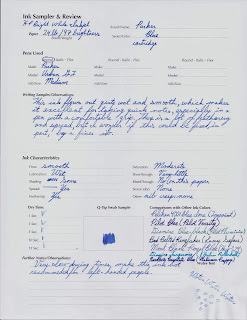 I now know to steer clear Parker inks (being slow driers) and that it is safe to give Montblanc a try :) I would further be indebted if you were to review Montverde or Montgrappa inks in the further :) best regards from South Africa. Marlon. I am very glad that you are enjoying the weekly ink reviews! 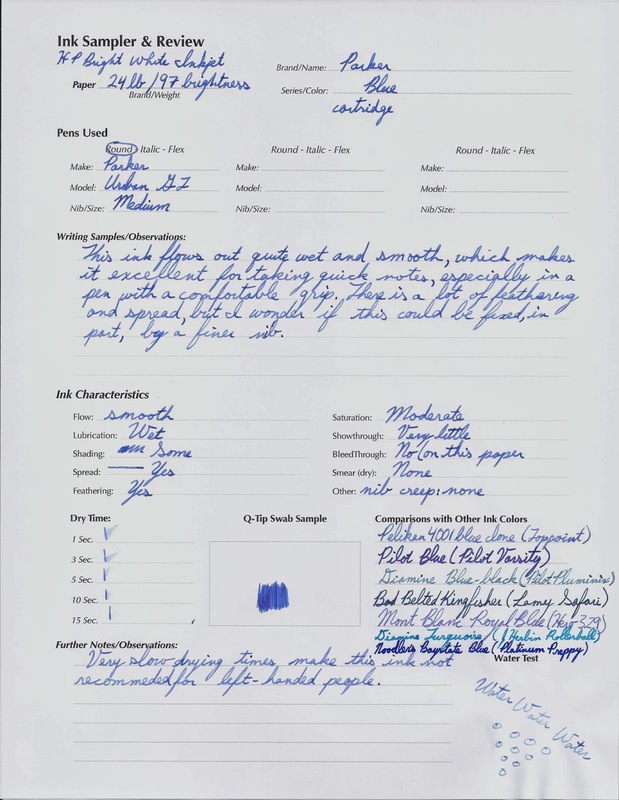 As soon as I can get a hold of some Monteverde and Montegrappa inks, they will be reviewed.